Enduring appeal. 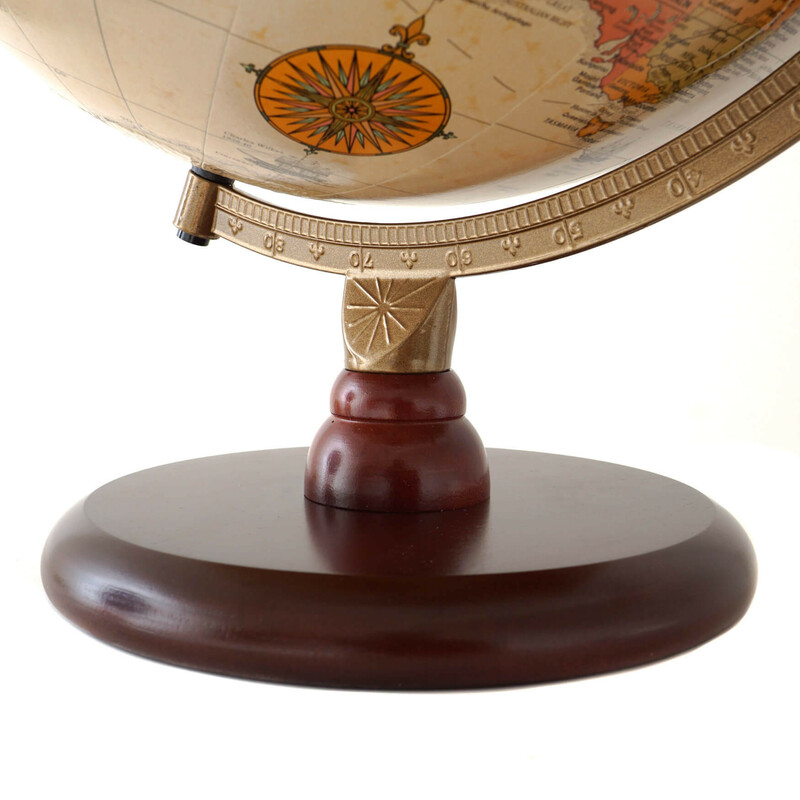 The popular Piedmont globe is a perfect choice for any setting. 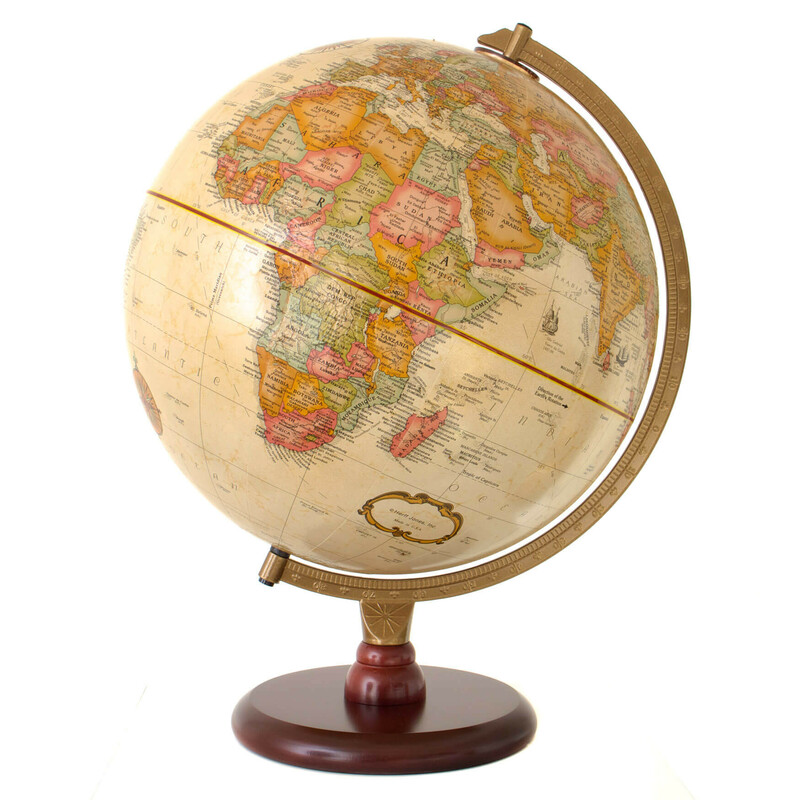 The globe ball itself is part of the World Classic collection from Replogle World Globes. The antique-style map shows up to date cartography by Kevin M Dzurny and has clear political boundaries with over 4,000 place names. It also features raised relief, revealing the world's main mountain ranges in a tactile way. 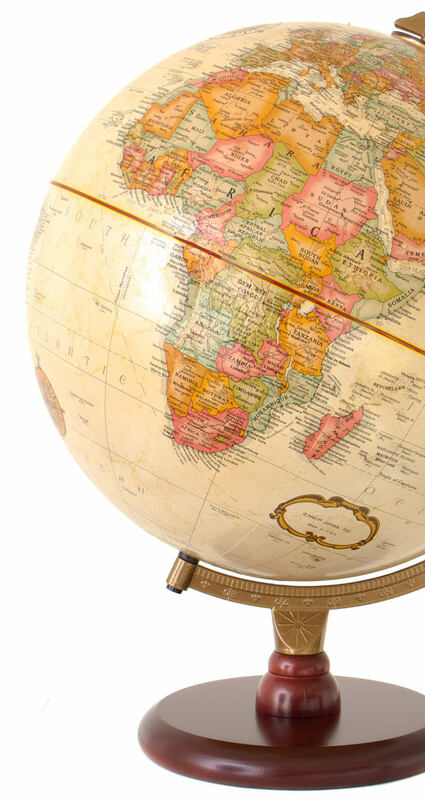 The timeless combination of a solid hardwood base with rosewood finish and painted die-cast metal meridian ensures the enduring appeal of this globe. This globe is made using traditional techniques with recycled, recyclable and sustainable materials. 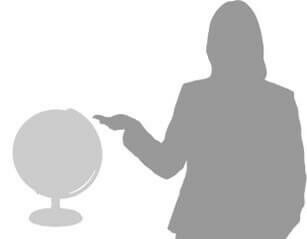 It comes complete with a booklet on how to use, enjoy and care for your globe. The Piedmont is assembled in Corby Northamptonshire, in the heart of the UK. 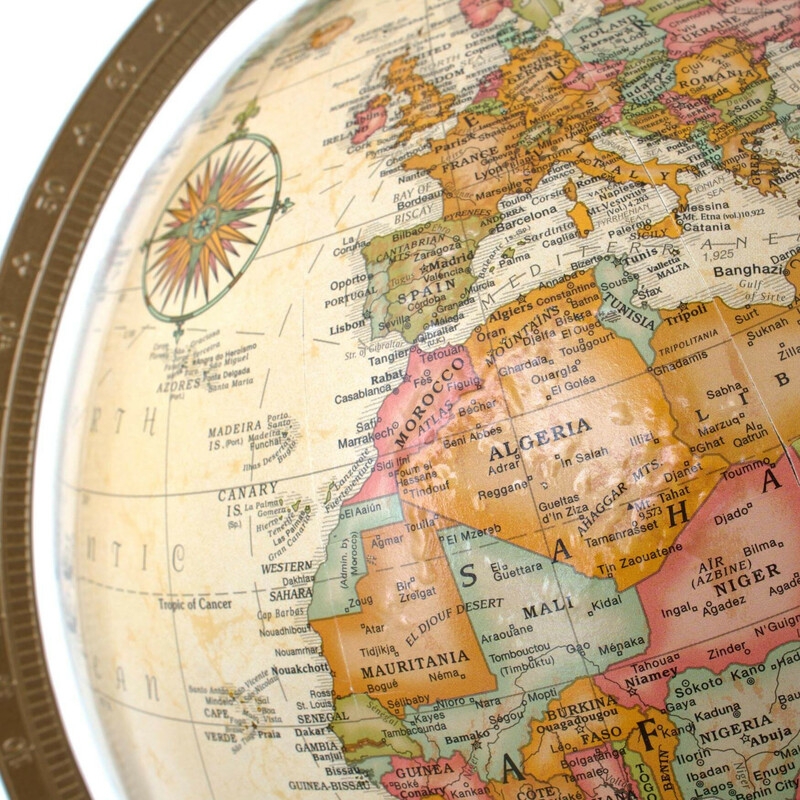 Cartography designed by Cartographer K. M. Dzurny to U.N. approved standards. Politically mapped showing clear country boundaries. Raised relief on major mountain ranges, making them discoverable under your fingertips. 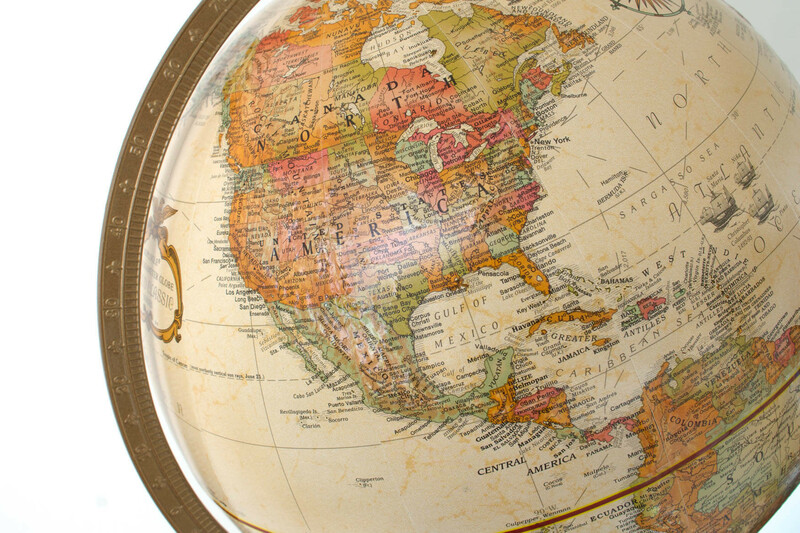 For over 80 years, Replogle Globes has been manufacturing high quality traditionally-made globes from its base in Chicago, Illinois.